Playing a ghoulish character can be a real curse for an actor. Forever typecast, or worse still forever uncast what exactly does happen to the anti-heroes of horror? 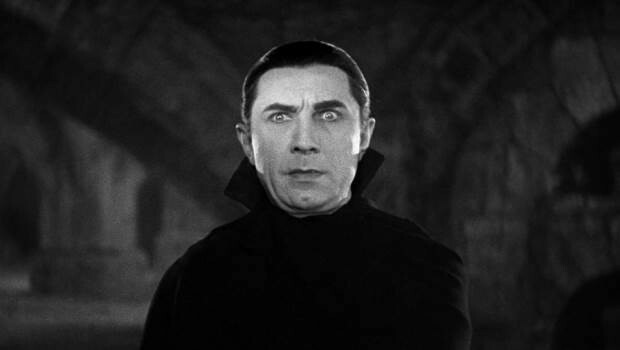 Bela Lugosi always believed his finest hour was as Dracula and he took on the role so well that his family requested he be buried in full vampire get up. Which of our favourite horror icons will be read the last rights in their fake blood stained costume? Playing the role of head spinning, spider walking Regan resulted in an Oscar nomination for Blair when she was just 13 years old. She went on to star in the sequel as well as playing troublesome teenagers for a stretch of years before the desirable acting calls started to dry up. However, Blair had some drying up of her own to do, and successfully fought to exorcise herself of a drink and drugs problem. Still she has worked consistently, mainly in the horror genre. Like Robert Englund Blair has guested on Perry Mason putting the willies on a murder case. And from one horror to another Blair has most recently been seen on screen, (the small one that is) in LA 7, along with the now deceased S Club 7. 1, 2 Freddy’s coming for you! One wonders if even today Englund can walk down the street without having his theme sung at him. It would appear not. Making claws fashionable in film way before Edward Scissorhands, Freddy remains a phenomenon today. Numerous sequels were spun off the original to make Wes Craven and no doubt Englund himself a hefty nest egg. Englund has found acting work outside of the movie, but still sticking to that tried and tested dark alley of horror. Mr Krueger has been a hit with the ladies resulting in two marriages for Englund. We’ve all met a child from Hell, but Stephens really did play one in 1976’s The Omen. Being good at staring and riding a tricycle at top-speed helped in this role, but rather unsurprisingly there was little demand for it elsewhere. Stephens has only acted in two films since one of which being, I killed my Lesbian Wife, hung her on a meat hook, and now I have a three picture deal at Disney directed by Ben Affleck. Whether his lack of Hollywood presence is through personal choice or a struggle to be cast is unknown as he keeps himself very quietly. 6’4″ Icelandic Hansen was picked to play the notorious Leatherface in 1973, but today 30 years on he is still only really know in the acting world for playing the chainsaw welding psycho. Hansen does not seem to have intended to act, as after he starred in Massacre he went on edit a magazine as well as dabble in some design work. He was asked to take a role in the soon to be released remake but refused on the grounds it was disrespectful to attempt approval on the original.